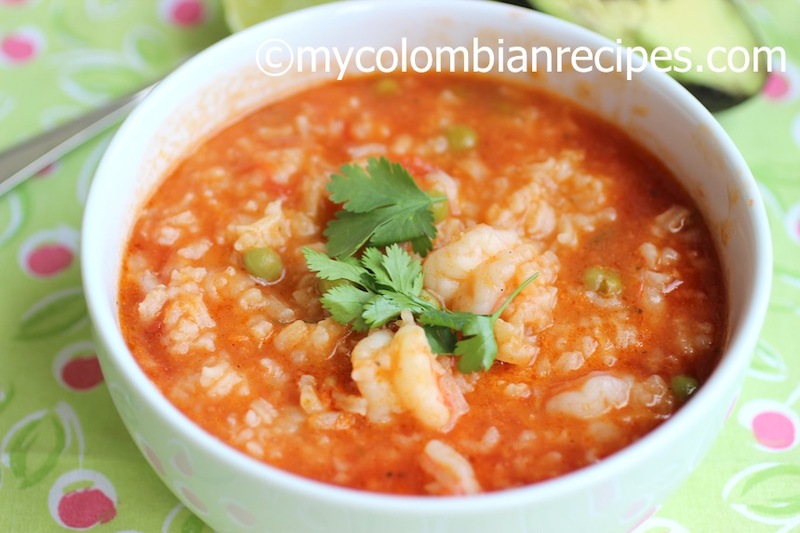 This Arroz Caldoso de Camarones (Shrimp Soupy Rice) is quick and very easy to make. It can usually be made with simple ingredients that I always have on hand. It is perfect for a weeknight dinner, satisfying, comforting and absolutely delicious. 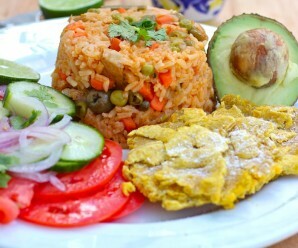 Arroz Caldoso is also know as Asopao in other Latin American countries and Spain. This soupy rice is a thick and comforting dish made with rice, vegetables and a choice of poultry or seafood. Every country and every family has their own version of the dish. 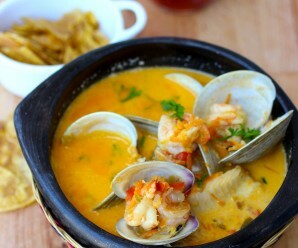 This is my aunt’s recipe, and she always make hers with shrimp. 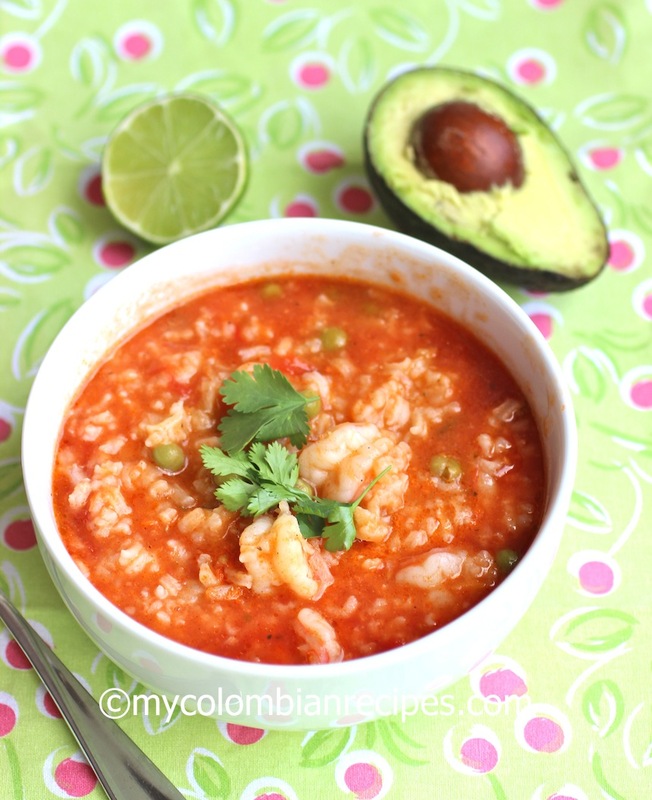 I love topping my Arroz Caldoso de Camarones with lime juice and diced avocado. Cook’s Note: If you don’t have shrimp stock for this recipe, simmer the shrimp shells in water with 1 onion and 2 peeled carrots for about 30 minutes. In a large saucepan over medium heat, melt the butter. Add the garlic, onion, red bell pepper and grated carrots. Cook until the vegetables are soft, about 4 minutes. Add the rice and cook, stirring, about 1 minute. Increase the heat to medium-high, add the stock and bring to a boil. 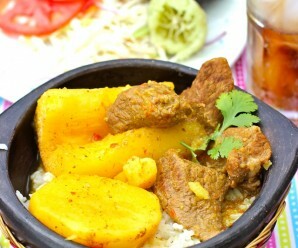 Reduce the heat to low, cover and simmer until the rice is tender, about 15 minutes. 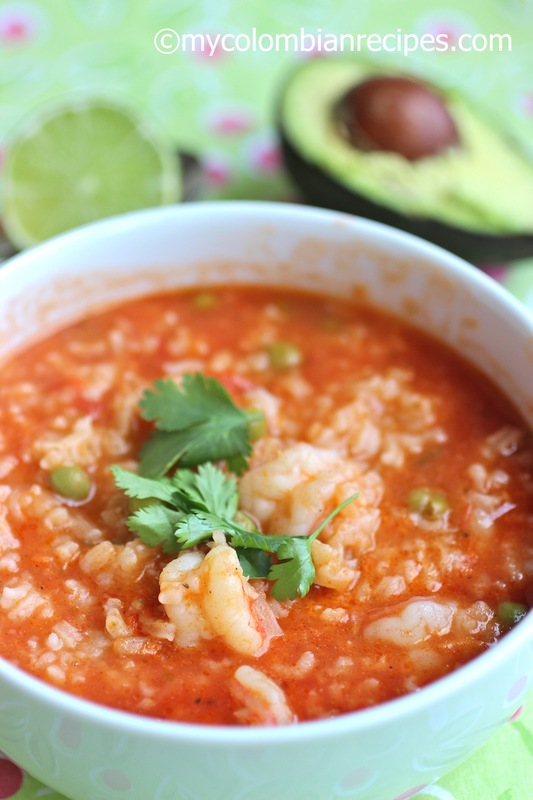 Add the crushed tomatoes,1/2 cup of water, shrimp and peas. Cook, stirring occasionally, for 5 minutes more. Season with salt and pepper. Sprinkle fresh cilantro and serve immediately. Yummy! 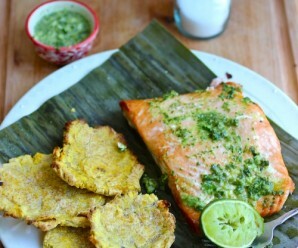 I will make this.